Seeing how children were dropping out of school as there was no bridge over Kapila River, Balakrishnan decided to build his own. 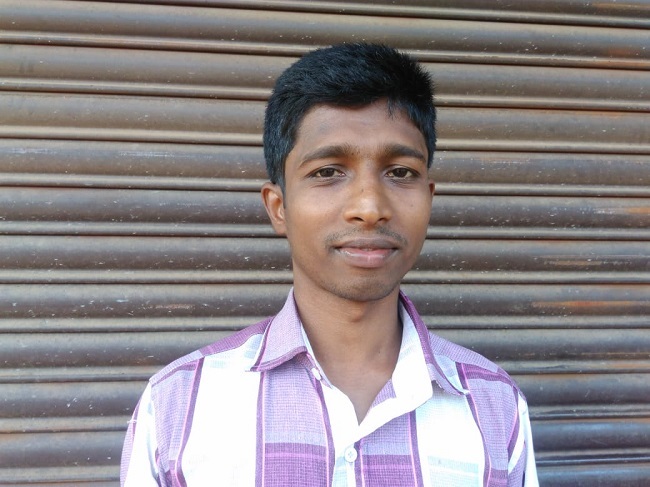 Every time Balakrishna Shishila heard of another child dropping out of school from his village, the more troubled he was. The bridge across Kapila River had collapsed and children were finding it more and more difficult to go to school. As a result, they were dropping out of school. He decided to take matters into his own hands. So the 32-year-old, who runs a small shop in Shishila, in Dakshina Kannada’s Belthangady, decided to put in all of his savings and build a bridge himself, ensuring his village was connected again. Balakrishna himself had to drop out of school in Class 7 owing to family circumstances, and seeing others being forced to drop out due to lack of connectivity disturbed him. “Lives of over 15 families depend on the bridge. Earlier, areca stumps and other temporary structures were laid as a bridge. But the heavy rains that lashed region destroyed the bridge. The village was stranded during the rains, and all pleas to panchayat officials to have a permanent bridge constructed fell on deaf ears,” he tells TNM. Mid-July, with the help of 10 other people, he constructed a bridge across the river. “In my childhood, I used to build swings using wood and ropes. 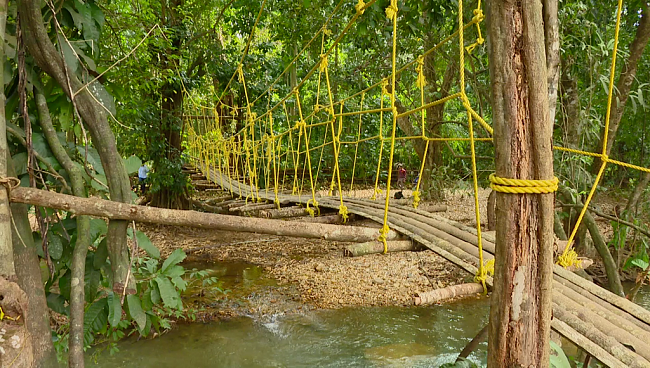 So using ropes, metal and bark from local trees, we built a makeshift bridge. For this, I took out Rs 30,000 from my savings, says Balakrishna, who has a family of five to look after. The 35-metre-long bridge was built at a height of 15 metres and is 3 metres wide. Thr bridge has proven to be a boon for people, who were forced to wade through the water to get to the other side, of the village. “We were worried about the lack of connectivity, especially in the case of medical emergencies. Now, we can move about thanks to this bridge,” says Krishna Prakash, a resident of Shishila. The recent rains also damaged the roads in Belthangady, making life more difficult for the villagers. “Vehicles could not ply as the roads were completely damaged. The panchayat turned a blind eye, and the villagers pooled their money to rebuild the roads,” says Balakrishna. Although Balakrishna has been hailed as a hero by the locals, the cost of building the bridge is yet to be recovered. "Initially, the village panchayat supported the project. But now there is no news on the reimbursement of the amount. Given our financial status, it would really help us if my family could receive the amount," he said.